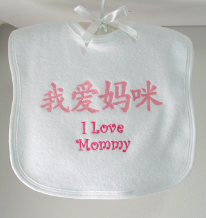 At Red Thread Families you will find unique gifts for family members and friends. 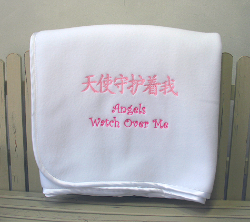 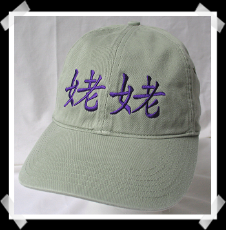 www.redthreadfamilies.com, offers embroidered gifts to celebrate China adoption. 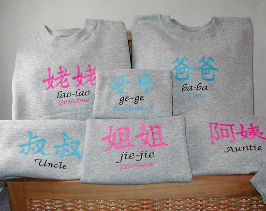 family members (e.g., mei mei, ge ge, jie jie) as well as other fun phrases and words.